Driving up the hill on Road 13 to the eponymous Winery in the South Okanagan Valley, we were in for quite a surprise. This wasn’t the usual West Coast timber and glass winery tasting room. A whimsical, tongue-in-cheek building that looks like a “cardboard castle” awaited us – a take-off on the classical wine chateau. As the photo shows, its all castellations, rounded and pointed towers and even the front door looks like a draw bridge!. We loved the humour of it. Once inside, it’s clear there’s no joking about the quality of wine. The same innovative approach to its building seems evident in the Road 13′s winemaking practices. We had decided to go in search of this winery after tasting their Rose earlier in the summer last year. The name was added to the list of “Must Sees” for the annual visit to the Okanagan. Road 13’s Honest John’s Rose has that vibrant, crimson colour of merlot based Rose wines, reminiscent in a way of the Bergerac region Rose that we like. Honest John’s presentation is upbeat and optimistic from its colour and bottle labelling to its intriguing and refreshing flavours not only of soft fruit but also of spice!. Spending time in the Tasting Room and exploring the Rose further provided the answer to our question of what was the blend of grapes used. It turned out that Merlot was only a part of the picture. 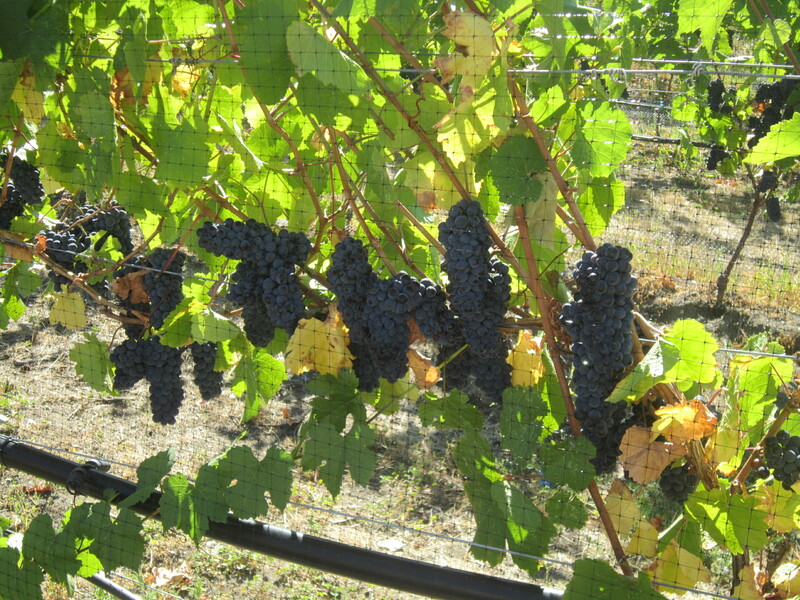 The main components of the blend are Gamay and Pinot Noir followed by Merlot. Road 13 also adds white grapes to their blend with Viognier and just a hint of Chenin Blanc. Syrah, Rousanne and Malbec are also included in small percentages. Perhaps this is an unconventional blending and no doubt adds that “something interesting” to the taste that we liked. While Rose is typically thought of as a great summer sipper, Rose delivers on flavour and freshness at any time of year, if it is served lightly chilled so the range of flavours comes through. This wine would be no exception. Outside Canada, blank looks are the usual reaction to information about British Columbia’s wine areas. Surely BC is known for its skiing not its wine! Little do people know that beyond the coastal mountains surrounding Vancouver lies the spectacular Okanagan Valley with its vast lakes, ponderosa pines, fragrant sagebrush and desert areas where vineyards share the land with cherry, apricot and peach orchards. It’s a magical place. 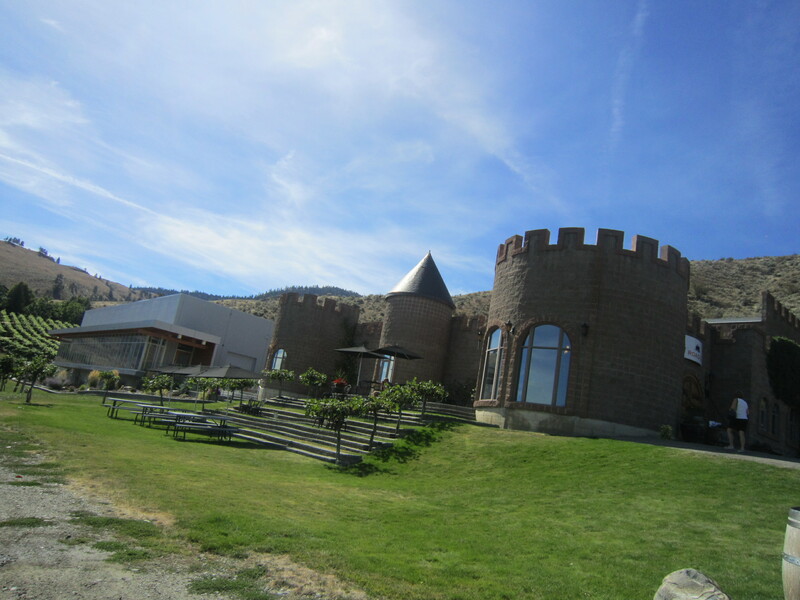 No wonder the whimsical castle at Road 13 Winery feels right. British Columbia Wine areas. Super, Natural British Columbia Canada. check out the extensive information. This entry was posted in Uncategorized, wine and food and tagged BC Canada, British Columbia, British Columbia Wines, Road 13 Winery, Rose Wines, South Okanagan by elizabethsvines. Bookmark the permalink.